That AC is not reading the blog, I feel safe posting a pic of her quilt pattern. It's just in dummy plain colours at the moment. Mum and I plan to do the bulk of the fabric shopping over the next couple of weeks. 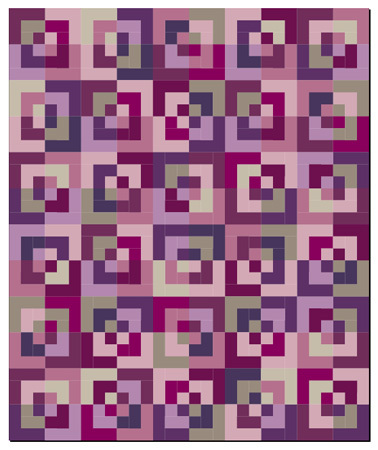 Jus looking at this on the blog next to the Flickr feed it looks a bit like Kate and Jason's quilt! Hopefully the real colour choices will make it look very different.